There are big changes coming to our kitchen this coming Monday! Evan and I will be doing a 14 day cleanse—nothing crazy—but we’ll be eating mostly fruits and vegetables, gluten-free grains, lean proteins, and a variety of nuts. We will not be consuming dairy (including eggs), gluten, sugar, corn, alcohol, caffeine, yeast, soy, or nightshades (which include tomatoes, potatoes, eggplants, and peppers). I’m really dreading giving up my morning coffee, but overall, we’re excited about this opportunity. Why are we doing this? Many of the foods people eat today aren’t really that good for us. Humans haven’t always eaten gluten and dairy. The idea is to weed out things that are commonly-known allergens. I’ve been eating tomatoes all of my life, but maybe my body really doesn’t agree with them. By eliminating these allergens from our diet and then slowly reintroducing them one by one, we will be able to identify foods that don’t make us feel well. 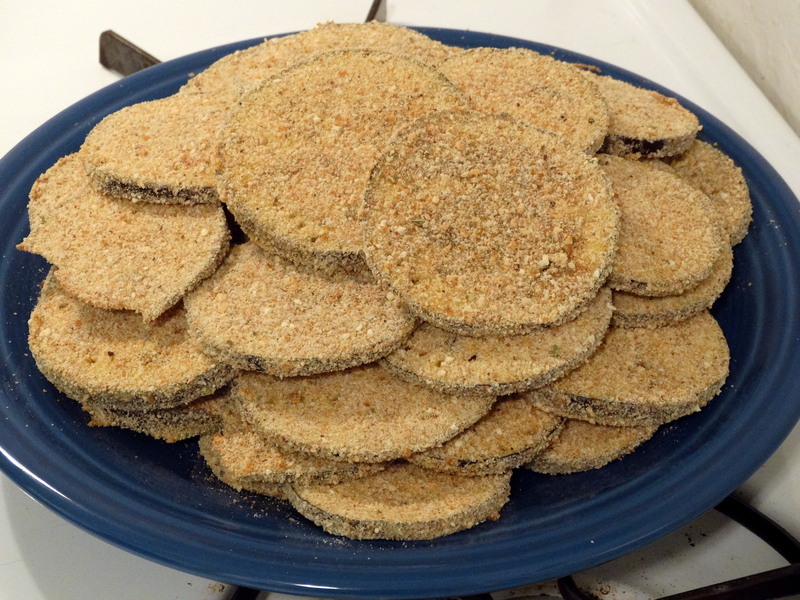 So, to get my fix before we go clean, this week’s recipe contains a little bit of everything I won’t be able to eat next week: cheese, breadcrumbs, tomato sauce, and eggplant. 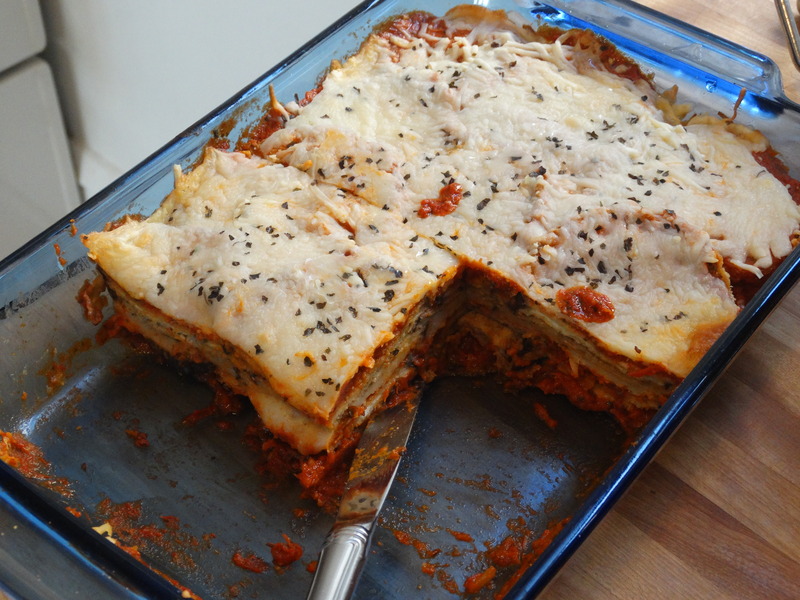 This tasty lasagna takes a bit of patience to whip together, but as soon as you take the first bite, you’ll be glad you stuck with it! 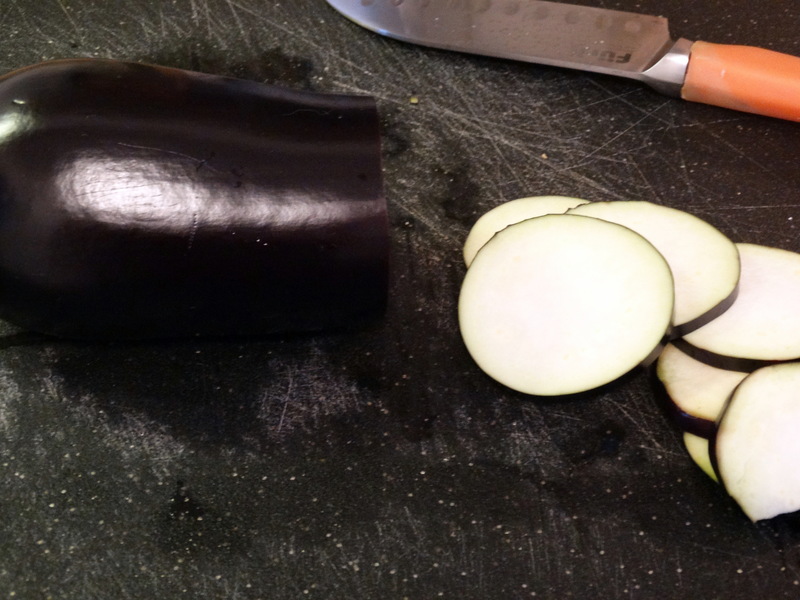 Use a knife or mandolin to cut 2 medium eggplants into 1/4″ thick slices. Option: For a softer textured lasagna, peel the eggplant first. Add the slices to a large bowl of salted cool water and let sit for 20 minutes. While your eggplant is soaking, crack and beat 3 eggs into a small bowl. In another bowl, add 2 cups of Italian seasoned breadcrumbs. If you only have plain breadcrumbs, add 1 teaspoon each of dried sage, parsley, oregano, and thyme. Mix together evenly. 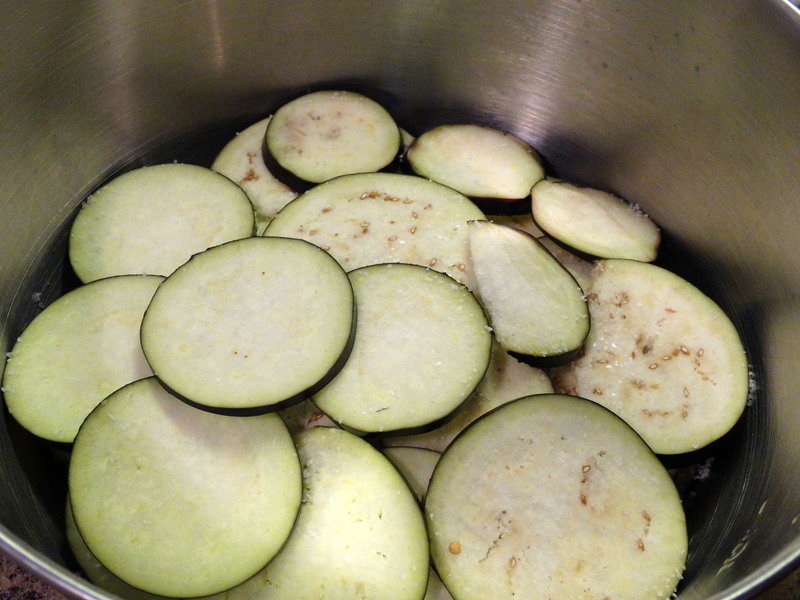 When 20 minutes is up, remove the eggplant slices from the water (I just used my hands), lay them flat, and pat dry. Dip each slice, one at a time, into the egg mixture, followed by the breadcrumb mixture. Make sure both sides of each slice are evenly coated with breadcrumbs. Place them in a single layer on a lightly greased baking sheet. Bake for 5 minutes on one side, then flip them over and bake for an additional 5 minutes. Repeat this process until all eggplant slices have been baked. I baked 3 batches. 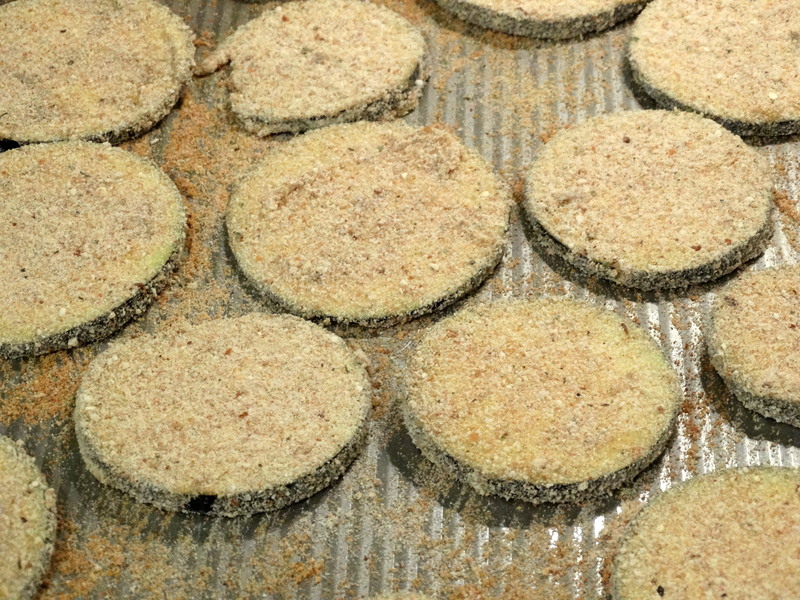 When you are through baking the breaded slices, reduce your oven to 350 degrees. 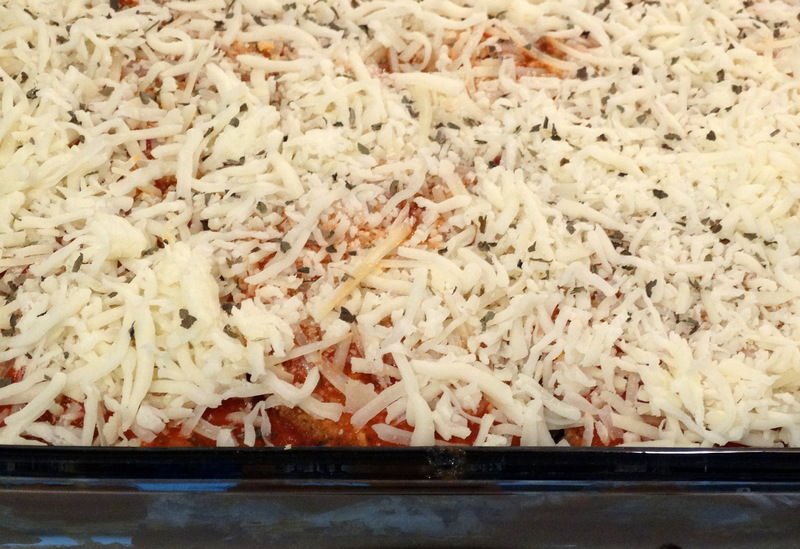 Add one cup of your favorite marinara sauce to the bottom of an 8.5″ x 11″ baking dish. Layer half of the eggplant slices over the sauce. Add another cup of sauce on top of the eggplant. Then sprinkle 1/2 cup Parmesan cheese and 1 cup of mozzarella cheese over the eggplant. Repeat with a second layer of eggplant, sauce, and both cheeses. Top with a bit of dried or fresh basil. Bake for 30-35 minutes, or until the cheese starts to brown. Enjoy! Leftovers hold up well! Reheat in the oven, microwave, or even better, a toaster oven if you have one! Prep time: 1 hr. 15 min. 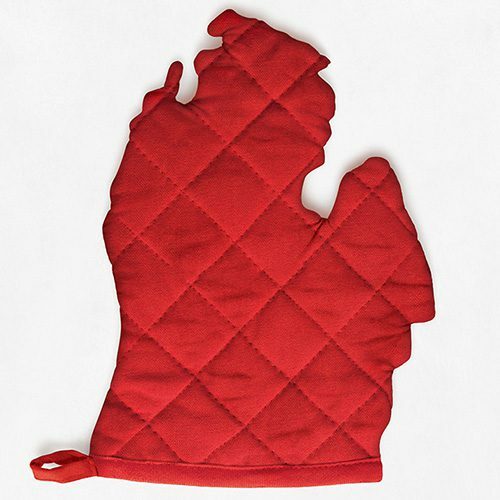 1) Preheat your oven to 450 degrees. 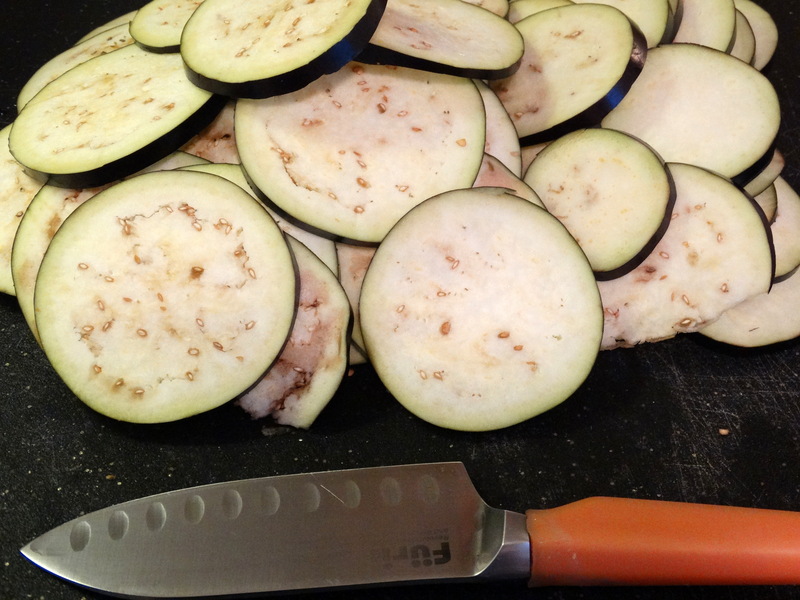 Use a knife or mandolin to cut 2 eggplants into 1/4″ thick slices. Add the slices to a large bowl of salted cool water and let set for 20 minutes. *Option: For a softer textured lasagna, peel the eggplants first. 2) While your eggplant is soaking, crack and beat 3 eggs into a small bowl. In another bowl, add 2 cups of Italian seasoned breadcrumbs. If you only have plain breadcrumbs, add 1 teaspoon each of dried sage, parsley, oregano, and thyme. Mix together evenly. 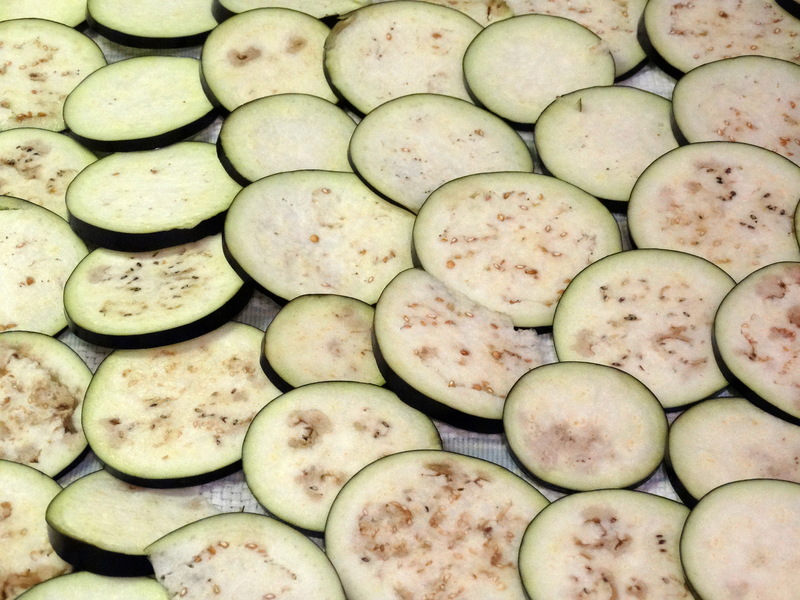 3) When 20 minutes is up, remove the eggplant from the water, lay flat, and pat to dry. Dip each slice, one at a time, into the egg mixture, followed by the breadcrumb mixture. Make sure both sides of each slice are evenly coated with breadcrumbs. Place them in a single layer on a lightly greased baking sheet. Bake for 5 minutes on one side, then flip them over and bake for an additional 5 minutes. Repeat this process until all eggplant slices have been baked. 4) Reduce your oven to 350 degrees. 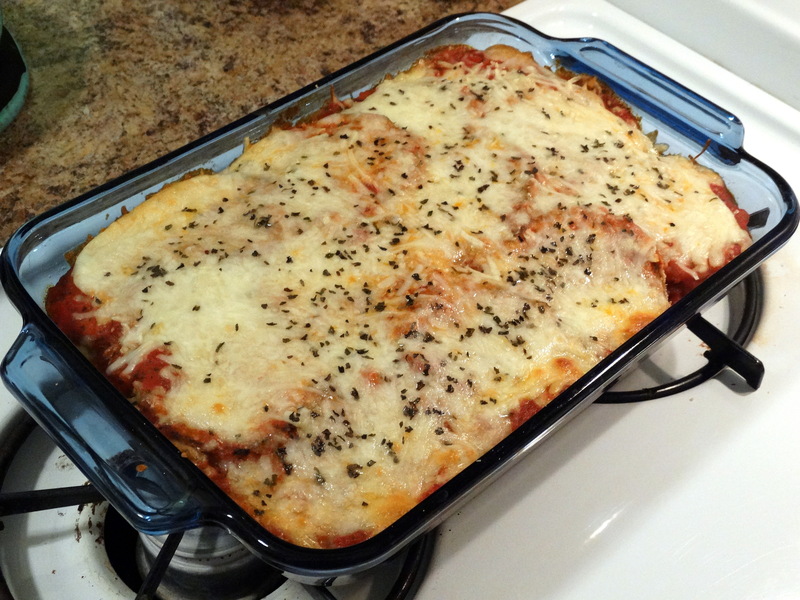 Add one cup of your favorite marinara sauce to the bottom of an 8.5″ x 11″ baking dish. Layer half of the eggplant slices over the sauce. Add another cup of sauce on top of the eggplant. 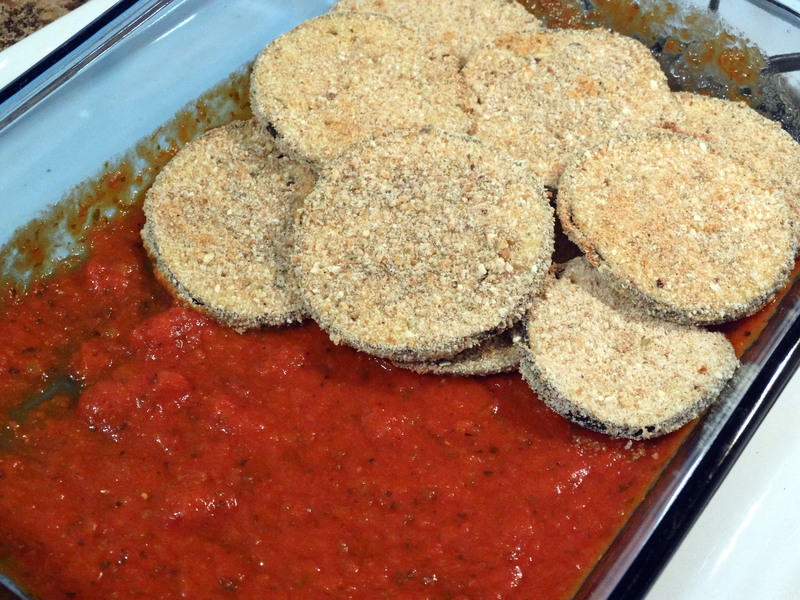 Then sprinkle 1/2 cup Parmesan cheese and 1 cup of mozzarella cheese over the eggplant. Repeat with a second layer of eggplant, sauce, and both cheeses. Top with a bit of dried or fresh basil. Bake for 30-35 minutes, or until the cheese starts to brown. Enjoy!